As any new mother will tell you, the fatigue and relentless exhaustion that co-exists alongside the highs and joy of a new baby often catch many new mothers unawares. Nothing really prepares you for how it feels physically and emotionally to function on very little sleep for many months. While is does get easier and you will sleep again, managing your life and your health through the first turbulent weeks or months is so important. Many mothers put themselves last in their families, not comfortable with the concept of ‘me first’. It’s time to rephrase this, and simply say, ‘me too’! It’s not just new or first time mums who are mothering through fatigue. When a mum returns to work, has more children or is navigating the world of older kids, all are prone to fatigue and burnout, felling like they are ‘treading water’ or just getting by, most of the time. Addressing or investigating the reasons behind motherhood fatigue may be put off, with other family or work priorities simply getting in the way. It does not have to be this way. A simple appointment with your GP is often all it takes to get to the bottom of your exhaustion. Thyroid problems; Both over activity (hyperthyroidism) and under activity (hypothyroidism) can present with fatigue. Both conditions are more prevalent in women, with hypothyroid being the most common by far. It is extremely common for women to develop hypothyroidism in the post-natal period, particularly women over the age of 35. If you have a personal or family history of thyroid problems, ask your GP if you need to have your thyroid function assessed with blood testing. Iron deficiency anaemia; There are many types of anaemia, but this form is common in women. Fatigue is a common symptom of iron deficiency anaemia. Don’t just assume, get tested with your GP before you self-prescribe any form of iron supplement. Taking iron if you do not need it can be problematic. Additionally, heavy menses and recent blood loss can make you iron deficient, even with a diet high in iron. B12 and folate deficiency anaemia; Vitamins B12 and folate (B9) are essential for the production of red blood cells. If deficient in either, red blood cells cannot carry oxygen properly, making you prone to fatigue. Simple blood tests with your GP will confirm if you have this, and it’s very easy to treat. Mood; Anxiety and depression can often present with fatigue. If you are concerned about your mental or emotional state and any time, make sure you see your GP promptly. You are not alone if you are experiencing the blues, depression, panic attacks or anxiety, so many mothers do. The fact is, so much help is available. See your GP, and take a trusted friend or relative with you if that is something you need. Sleep and insomnia; This is simply a no brainer when it comes to fatigue. Not only will chronic insomnia exhaust you, it sets you up for a multitude of chronic diseases later on in life. If your babies and kids sleep all night, and you are simply too wired to sleep, then you need to address it. Start with your GP, as they can perform a thorough physical examination and case history to ensure a health issue is not causing your insomnia. Medications are not the only clinical tool they have on offer. Referral to allied heath professionals may occur, depending on what is deemed to be the root cause for your insomnia. It can be fixed, so don’t loose hope or simply accept it, seek help. Breastfeeding; It’s no secret that breastfeeding can be exhausting, plus you are being depleted of many nutrients essential for energy production. Your GP may refer you to a lactation consultant, dietician or naturopath if you are finding breastfeeding very tiring. Having someone help you plan what to eat can be a huge relief for an exhausted mum. Adrenal fatigue; Most GP’s will generally only acknowledge a problem with the Adrenal glands when a patient has a diagnosis of Addison’s or Cushing’s disease. 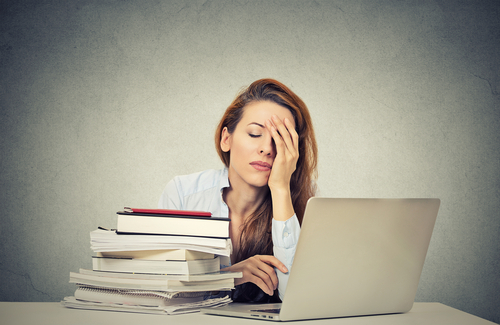 The term adrenal fatigue or adrenal exhaustion is more utilized in complementary medicine, to describe the physical symptoms that accompany burnout and long-term stress. While there is no medical test to diagnose this, a good case history with an integrative medical GP or naturopath can determine if this is affecting you. Children’s Health; An appointment with your GP to help relieve fatigue may not be needed for you at all, but for your kids. If your children are unwell long term, keeping you awake at night, or exhausting you during the day due to unstable health, then something might be up. Never hesitate to seek help if you are concerned. Fixing a simple health problem in kids often makes a huge difference to the energy levels of their exhausted carers. Emotional Health; It’s no secret that when our emotional health is suffering, we can feel drained, lethargic and simply lacking a little zest for life. Sometimes, we need to ask for help from GP’s, to receive guidance on where to access help. This may come in the form of referral to a counselor or psychologist, to chat about a particular problem you are having. Looking after our emotional well-being is just as important as our physical health. Sometimes, one session with a counselor can make the world of difference to help you gain some insight into a problem you are faced with. Next time you are thinking of heading to the gym or salon, maybe consider swapping it for some time spent on your emotional health with a professional? Medications; Have you been prescribed a medication, either recently or even months or years ago that has not been reviewed by your GP? Many medications cause fatigue as a side effect, and these medications happen to be those often prescribed to women with young kids for conditions unrelated to fatigue. Some women still have reflux after having babies, and proton pump inhibitor drugs for reflux are renowned for causing fatigue. Another example is common antibiotics for urinary tract infections. If you take medications regularly, seek a medication review with your GP. Don’t ignore your fatigue. While we do have to accept some fatigue (particularly for mums of little babies and young kids still learning to settle and sleep all night), any fatigue that is stopping you enjoying life needs to be addressed. If you are pushing yourself all day long, admit this and do not ignore it. Connect with others who can give back to you. Health professionals are perfect for this, it’s their job is to help their patients. With some impartial, expert health advice, mothering through fatigue can change to mothering with energy and resilience. The first step involves you, focusing on yourself for a while. Your family and friends would all agree you are worth it!